Become aware of the importance of goal setting. Learn the steps they need to take in order to put their plans into action. Avoid mental pitfalls athletes face daily. Recognize key emotions successful players have and how to learn from them. Solidify their thoughts by answering critical questions about each chapter. The ideas and thoughts are for every athlete looking to get to their next level, or can be used by parents and coaches as a mental training aid. 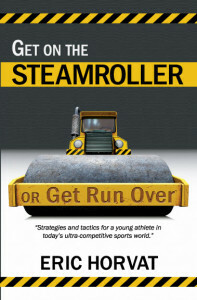 Get on the Steamroller or Get Run Over compiles over 45 easy-to-understand essays and approaches athletes from a fresh, innovative prospective. LOSING HURTS! THAT’S WHY WINNING FEELS SO GOOD is for athletes. Most of our mistakes are so common that they are seen as normal. We view those choices as the best things for us, but sometimes they are the worst things for us. It is VERY easy to follow the herd and do what the rest of the pack is doing. But when it comes to living out the athletic career of our dreams that is NOT what we should be doing. If you want to really increase your potential and your results, then you are in the right place. Losing Hurst! 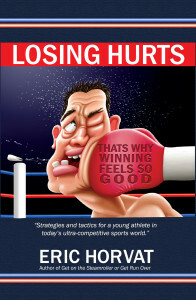 That’s Why Winning Feels so Good has simple and practical chapters written simply and broken up for an easy read.